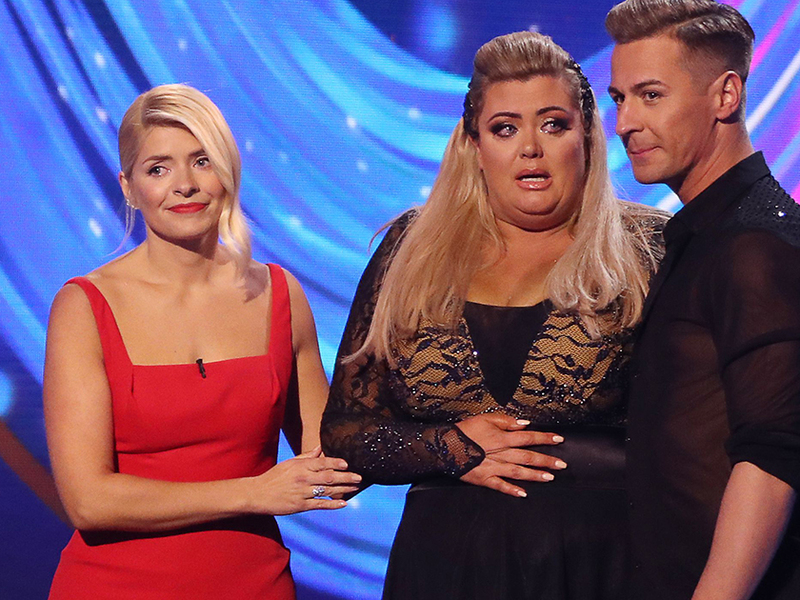 Gemma Collins has suffered another blow to her Dancing On Ice 2019 journey after she was booted out of rehearsals last night. The TOWIE star was asked to leave the ice after her behaviour was deemed too ‘disruptive’ by pro ice-skater Hamish Gaman. 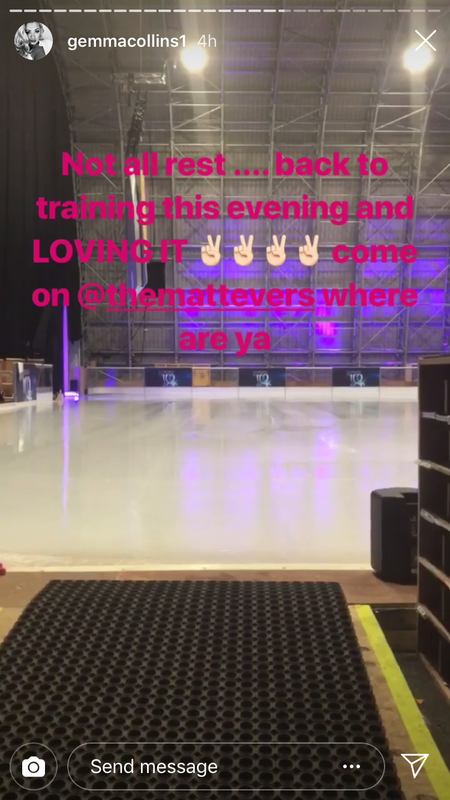 After arriving at the ice rink refreshed from a morning of pampering at a spa, Gemma joined her partner Matt Evers to run through their routine for this Sunday’s performance. 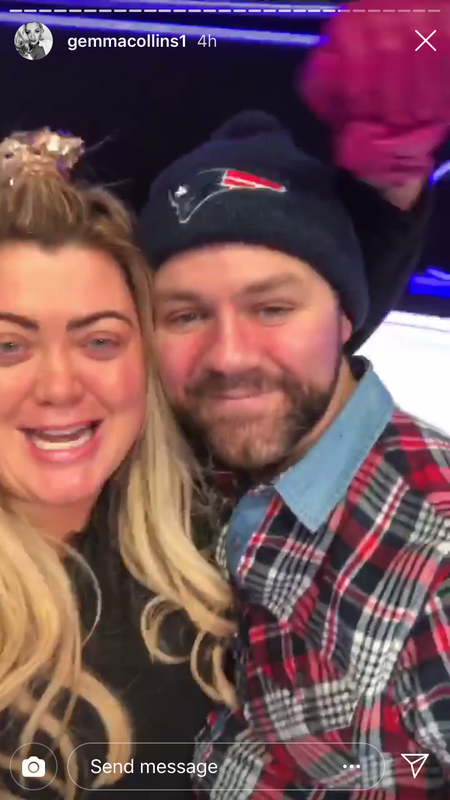 Sharing her entrance on her Instagram story, Gemma can be heard excitedly screeching and waving at co-star Brian McFadden. 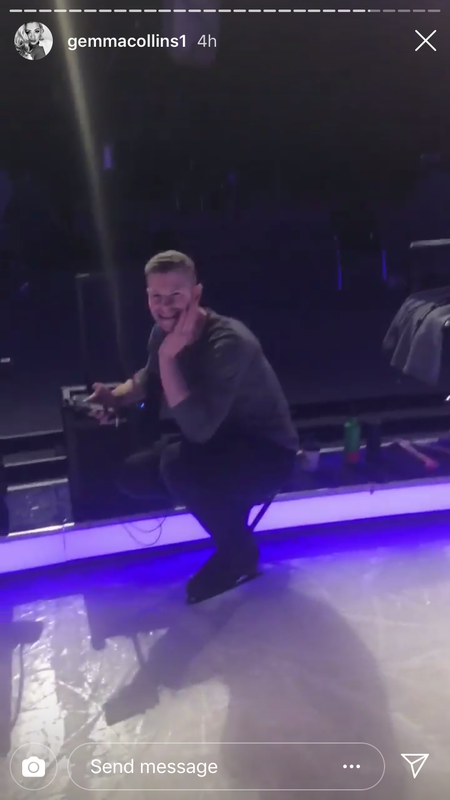 She then stops him in the middle of the rink for a chat, thrilled to hear he is remaining in the competition after his future was in doubt due to a back injury. But her loudness didn’t sit well with her other co-stars who were trying to rehearse their routines – especially Saara Aalto’s partner Hamish, who asked her to leave the rink. ‘Prince of the ice is telling me I’m being a disruption and have got to go,’ Gemma said into the camera. Gemma later returned to the ice with Matt after the other celebrities had finished for the day. 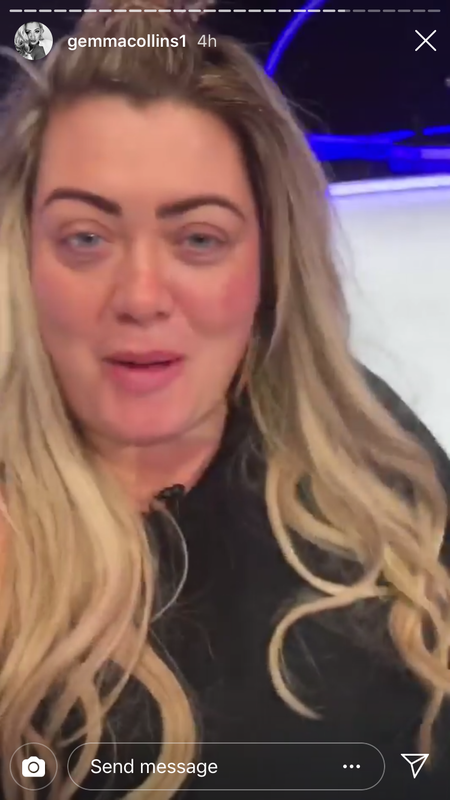 It hasn’t been a smooth ride for Gemma since she joined the DOI line-up, with her apparent ‘diva’ behaviour causing drama backstage. It all started when host Holly Willoughby slammed her for delaying rehearsals by taking an afternoon nap. She then had an almighty row with judge Jason Gardiner, accusing him of ‘selling stories on her’ after he branded her ‘lazy’ in an interview. And who could forget when she fell flat on her face? And more recently, it was revealed by Brian that she is often booted out of the DOI WhatsApp group for ‘diva’ behaviour.